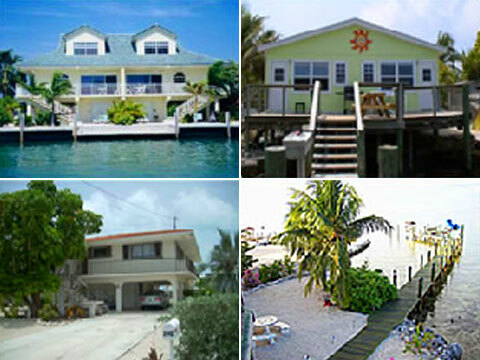 A locally owned, independent real estate and vacation rental company in the Florida Keys for over 15 years, we pride ourselves in our friendly and knowledgeable agents. We have excellent marketing ideas and research tools, both off-line and on-line, to help find or promote an investment property. While our office is located in the Middle Keys, our agents are familiar with the Upper Keys and Key West . Whether you are looking to sell your home, purchase a new residence, or looking for great business and investment opportunities, our agents can provide you with the professional service you need. Directions to our office: Heading south towards the Florida Keys you'll use the Florida Turnpike or US-1. Once you get close to Key Largo, US-1 will be the only road left to take through the entire line of Keys - which are measured in mile markers (MM). Key Colony Beach is located at Mile Marker 53.5 where you will find Sadowski Causeway. A left down the Causeway will bring you to our office in the shopping center on the left hand side. Have a safe drive! Save 50% on our Key West hot spot!! If you already own a piece of paradise and are looking to maximize its potential, our vacation rental program may be just what you are looking for. Our rental management team has a proven track record of success for our owners. Earn an extra income by renting your property to others while it's vacant. Marathon, Florida This tropical city has spruced itself up with new parks, the impressively maintained Sombrero Beach, and a newly renovated airport. The improvements have been made with careful thought toward maintaining the simple, sea-fairing tradition that has made Marathon unique. Marathon, situated mainly on Vaca, Fat Deer, and Grassy Keys, is a 10-mile-long island city at the midpoint of the Florida Keys island chain. Locals call their home "The Heart of the Keys" for geographic reasons, but also to reflect the old-Keys lifestyle they enjoy among the amazing fishing, diving, snorkeling, and sailing.